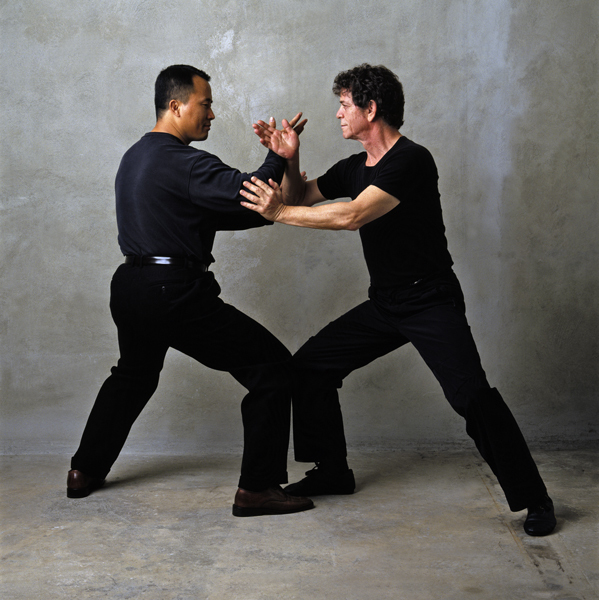 A fellow Chen taijiquan stylist, Lou Reed practiced martial arts for over 20 years and he studied diligently with Master Ren Guangyi, an innner door student of Master Chen Xiaowang. 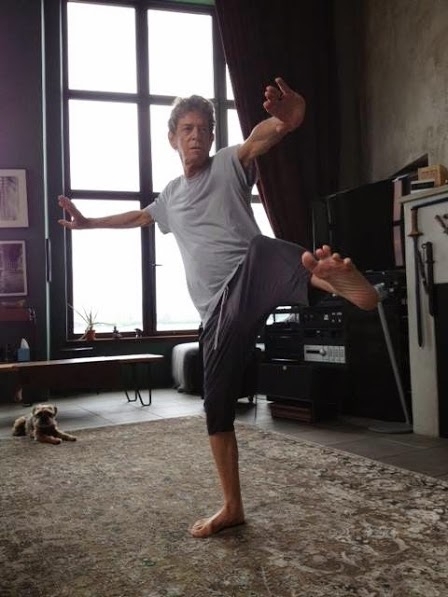 I was a touch surprised when he incorporated taijiquan into his live performances but watching the video from the Opera house is Sydney where the music was done by Reed and his wife, Laurie Anderson, it conveys both the grace and the power. From a journos point of view he was notoriously difficult to deal with and I have to confess that musically I never really got beyond the classic Velvet Underground albums and his first two solo LPs. That said, I bought the first two Velvet Underground LPs as a teenager at the tail end of the Sixties and the impact of each was massive. I might even have to dig out the vinyl after writing this. Above: Master Ren and Lou Reed taijiquan class, Sydney Opera House. The music is by Lou and his wife Laurie Anderson. Must have been quite offbeat getting your posture corrected by Lou Reed. This entry was posted in Just Runnings, Wushu and tagged Chen Taijiquan, Chen Xiaowang, Laurie Anderson, Lou Reed, Master Ren Guangyi, New York City, Velvet Ubderground. Bookmark the permalink.